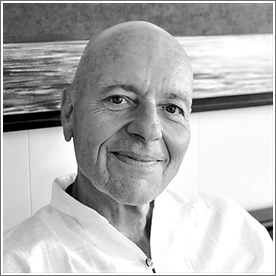 David’s work history included everything from working in the Canadian Broadcasting Corporation’s Northern Service, to running his own log hauling business in Northwestern Ontario, and to living in a Yoga Ashram in British Columbia. But, he said, it was his experience with the trucks that later made driving the Hamilton Public Library Bookmobile a natural next step—that and his love of a good read. David's Idiopathic Pulmonary Fibrosis lead him to request Medical Assistance in Dying (MAID) and he passed away pain-free in February 2017. David transformed us and he transformed Hamilton Arts & Letters magazine. HAL Contributing Editor since 2013. Guest Editor for Issue nine.2. Featured Memoirs in ASYLUM issue 10.1. He is fiercely missed.